On the 4 July I took part in a panel at Homeless Link’s annual conference. Although I don’t start as Director for another month or so, I have been able to make a few events and meetings to get to know key partners and ascertain the lie of the land. 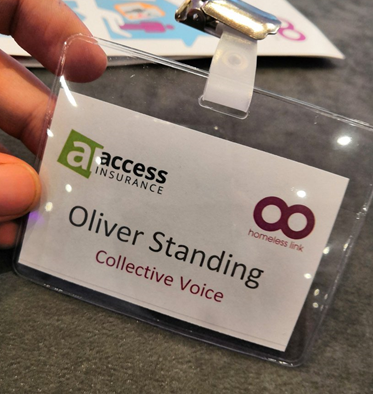 My first proper day’s work for Collective Voice was therefore marked by attending a national conference outside my sector and speaking off the cuff in front of 200 people! There’s nothing like starting at the deep end. A few things struck me. Photo by Martine Martin, Crisis. Used with permission. we welcome the recent government attention paid to our cause but we aren’t yet 100% convinced it will lead to the structural change we need. So why did it feel familiar? Because when viewed systemically homelessness functions similarly to entrenched substance misuse and affects similar populations of people with similar characteristics and sets of life challenges. Or to put it another way, as I did on the day, “our people are your people”. Not all the time of course; the majority of substance users will never be homeless. But there is a powerful vortex formed by the overlapping and interlocking domains of multiple need (substance misuse, homelessness, offending, mental ill health plus other factors) which can ruin lives and necessitate joined up and politically savvy responses. Partnerships will be key – which is why I’m so excited to be shortly joining Collective Voice, and why meeting Ollie at MEAM and Nina at The Criminal Justice Alliance are two of the meetings I’ve already got in my diary. Systems were a topic of animated discussion. Although I’m no expert in their theory or formally trained in their approaches, applying a systems lens to the peculiar world we inhabit seems like a sensible thing to do, both to map its terrains and to help martial a coordinated response to its threats. When I speak to people ‘in’ drugs and alcohol repeated themes emerge: general instability, high workforce churn, a lack of cash to deliver against the substantial evidence base, complex client group, loss of commissioning expertise, an apparent disconnect between national and local policy. What are the common characteristics these challenges share? Change and complexity: both crucial components of the DNA of systems thinking. Systems change is something I’d like to explore a lot more in my new role, having been inspired by the approaches of Lankelly Chase and many others. ‘Under One Roof’ was of course just the start. I’m looking forward to fighting the good fight with colleagues at Collective Voice, the wider sector and beyond. If you’d like to join me in doing that, or just say hello, please connect with me via Twitter, LinkedIn or Medium. 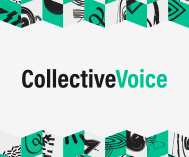 I hope to be blogging pretty regularly about Collective Voice’s work, drugs and alcohol, leadership and systems over the coming months. Well said Oliver. System changes can seem daunting given their enormity and complexity. So often, policy makers focus on small incremental changes in the hope they will, someday, add up to the big change sought. For sure, good progress has been made over the past two decades in how people with complex needs,including substance use, are given help. But on the other hand, changes such as Universal Credit neutralise or worsen things. Gains in mental health, homelessness and criminal justice have been achieved by ensuring the voice of service users and their peers is inbuilt to the change process. Those of us involved in Build on Belief in London(BoB) wish you and Collective Voice well in your endeavours as the environment we all work in seems to worsen. Deciding whether to go for the big paradigm shift or the steady accumulation of unspectacular advances in policy and funding can be tricky. I guess the key is to keep chipping away whilst being constantly vigilant to the possibility of any Big Change windows opening. Whatever happens in the next five years there’s no way that progress will be made without partnership, and I therefore appreciate BOB’s support. This is so true Oliver, both fields have committed, compassionate and experienced workers & both are at the mercy of a system that doesn’t allow them to do their job without it ‘costing’ them in a number of ways. Very few workers I meet, only do the hours they are paid for. A high percentage have to write up notes at home and are never compensated for it. Stress and vicarious trauma is a major issue while supervision is becoming a rarity. Funding is obviously a major issue but so too is the unhealthy system that unwittingly ‘promotes’ working extra hours to meet government targets. I am confident, under your leadership, Collective Voice will be a place where workers can feel heard, valued and part of the vision for the future of service delivery. Congratulations and look forward to hearing how things progress in your new role. Thanks for the comment Christine (and the confidence!). I agree: the profound system stress we are experiencing is playing out in so many ways, and the risk of vicarious trauma is high, especially with such a high percentage of our workforce made up of people themselves in recovery. I hope to blog quite a lot about how the organisation develops. © 2019 Collective Voice. All Rights Reserved.